As we all know Pop Ups are all the rage, for obvious reasons. 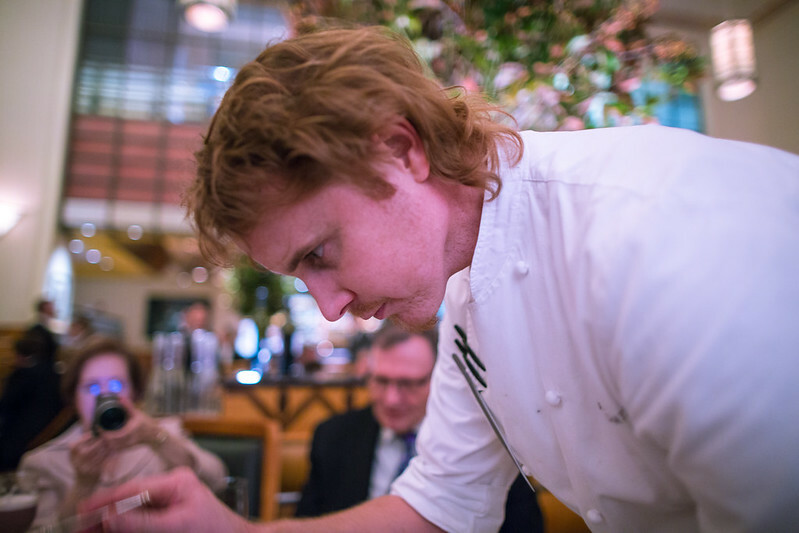 Pop Ups allow young adventuresome chefs a way out of the conventional slow climb through the traditional kitchen ranks and presents them with freedom to explore their own creative vision. 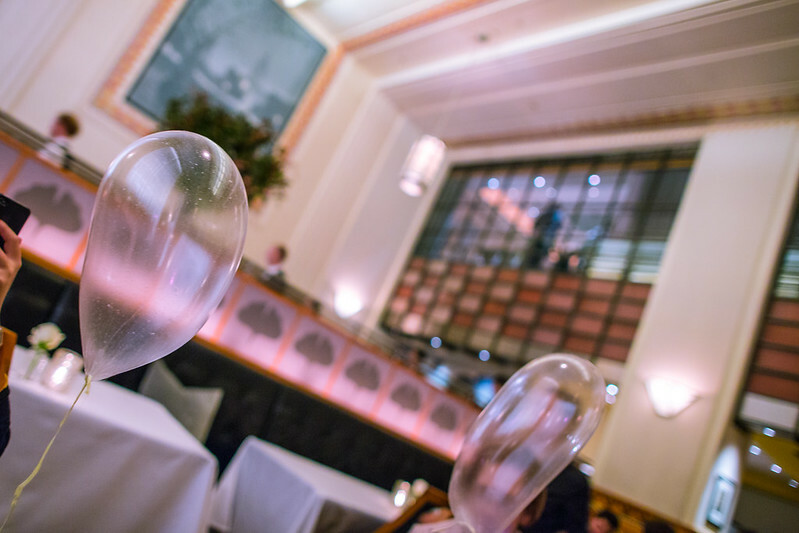 When we heard about the Alinea pop up we couldn’t help but be intrigued. 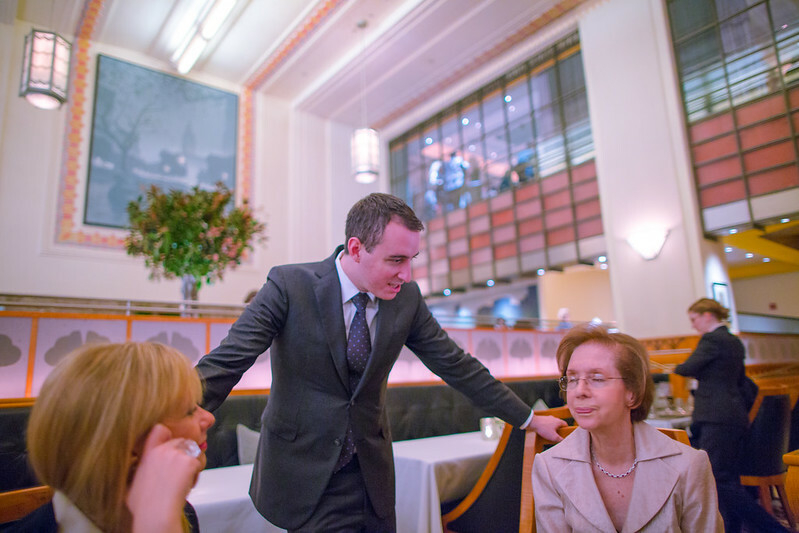 This time instead of setting up shop in a hybrid space with a make shift kitchen, the team at Alinea had to make themselves at home in one of the swankier places in NYC, Eleven Madison Park. This is not your standard pop up. It is clear that this kitchen switch was inspired by the collaborative and experimental energy that is at the core of the younger culinary culture. I have a great appreciation for what Grant and his team are doing. 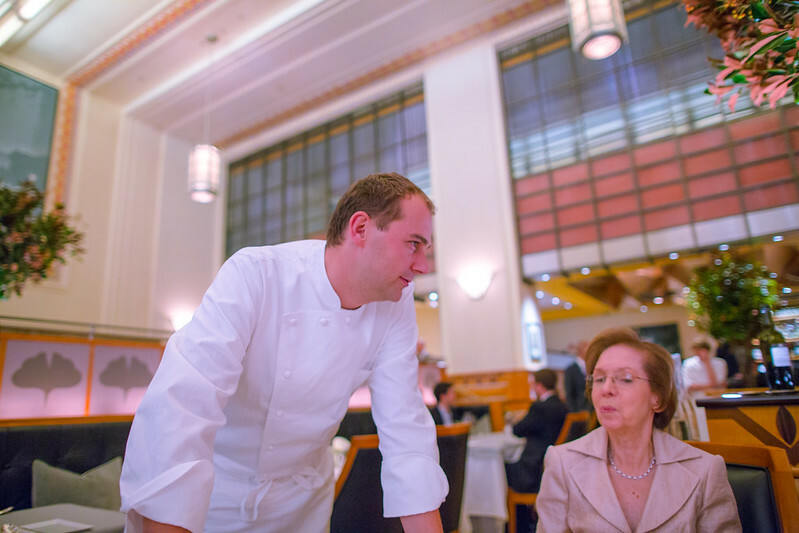 In addition to being a skilled chef, Grant also appears to be a designer/story teller who’s interest is in creating a total sensory experience; One unique enough that it extends beyond the moment you close the restaurant door. It is hard to do this let alone do it well. It requires innovation, imagination, craftsmanship, a great understanding of psychology and an interests in the users or diners. Perhaps it is my background of architecture and user centric design but it’s these intangible components in the dining experience that interest me the most. Why do we like one experience more than the next? Is it the incredible simple dish that brings you back to a familiar time and place or is it a bite that was so foreign that it takes you to an entirely new place all together. In the end it always comes down to how the experience make me feel and the resulting take away, was it a memorable story? bla bla bla…onto the food! This was just one of the many “table clothes we had during the course of the evening. Wonderful assortment of fresh seafood beautifully presented on two pieces of driftwood covered with seaweed. What a fragrant dish. The burning bourbon soaked wood filled the air with an incredibly familiar earthy and warm smell. Yet another table transformation. Not something I would hang on my walls but it did work well with the plating of the dish. This dish was a delicious time machine! The smell of the burning leaves transported me back to my childhood of playing in the leaves. Loved the construction of this dish. In order to eat it you had to slide out the pin, which combined all the ingredients, then throw it all down the hatch. Fantastic flavors! This ravioli bite reminded us a bit of the one from Roberta’s. What a fun interactive dish. Sadly I was only able to try the ingredients closest to me, all of which were great combinations. Wow, yet another dish that brought me back to Fall in Maine. I loved how the “plating” of this dish forced you to carefully navigate the elements while you ate it. the occasional pine needle found its way into my mouth and it didn’t taste so bad. Perhaps one of the more interesting and beautiful dishes of the night. 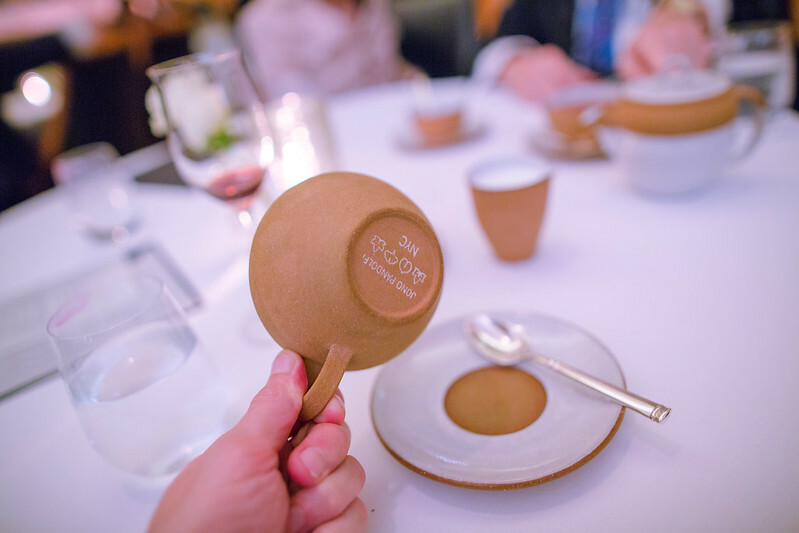 The problem that many gastronomes purists have with these interactive dining experiences is that the focus is not on the food and as a result it starts to feel gimmicky. We were also worried about this but we were happily surprised. Each bite was a delicious adventure. Would I want to have dine like this on a regular basis? Probably not, but I have to say that the experience was a memorable and whimsical one! Thank you R and M for making this happen. What a great evening! Great integration of beautiful photos and superb commentary! 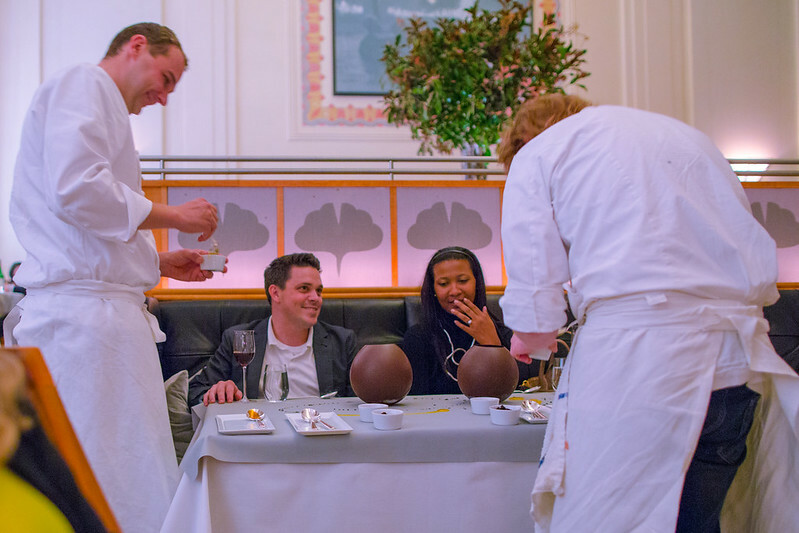 For me, Grant Achatz’a cuisine could be a bit too avant garde but made for a very entertaining evening and novel dining experience. Looks like I missed a fun and delicious experience. Nice post! I especially love the graphics.